Would you like to learn more about your heritage, faith, and history but can't make it to a class? We’ll bring the class to you! Study Torah in your office, home, or at the coffee shop! 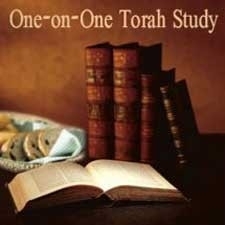 Rabbi Shneur and Miriam are available for 1-on-1 learning or discussions on any Jewish topic of your choice. Call or email us to set a date and time!